, and urging China to stop alleged price dumping by its manufacturers. True leaderships prevail in time of confusion, capable of focusing on the optimal path through which both countries need for economic prosperity. Both Chancellor Merkel and Premier Wen have shown such leadership by reaching the agreement to act against trade protectionism and to work together to cooperate in product development, production, and sale. 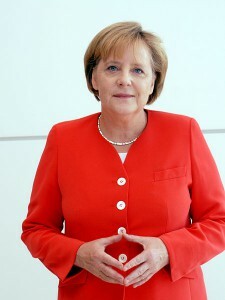 Merkel proposed trying “to solve the problems in the solar sector so one can prevent that an anti-dumping case has to be opened,” she told reporters, on August 30, 2012, in Beijing. “There’s still time, and it would be better to solve this in talks.” Below is a news clip summarizing this event. This seems to be an instant replay of the story/posts that I reported back in May of this year, in May 26, 2012 post and May 21, 2012 post of http://sunisthefuture.net . Recall my previous comment on definitive patterns and precursors for modern human war in May 26, 2012 post? 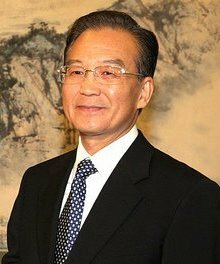 I believe both Chancellor Merkel and Premier Wen are wise stateswoman and statesman to keep their eyes on the prize: boosting their respective national economy and avoiding trade war or WAR. We are fortunate to have the accumulated data/experience from modern human history and wise leaderships in these two countries. Hopefully, in time, we would all come to the conclusion that all nations are functioning under global economy during our current century, intimately interdependent upon one another. We will all need to learn to cooperate, as all siblings under the same roof;though with sibling rivalry, we are all within the same family of humankind/earthlings. Under our current global economy, businesses that are able to cooperate with others will have a greater chance of survival than those that do not (for they will be able to better optimize resources). The sooner we learn to work and cooperate with one another, the sooner we will all be able to head toward our true common goal of transitioning into the renewable/solar energy age. This entry was posted on Friday, August 31st, 2012 at 6:38 AM	and is filed under News. You can follow any responses to this entry through the RSS 2.0 feed. You can leave a response, or trackback from your own site.